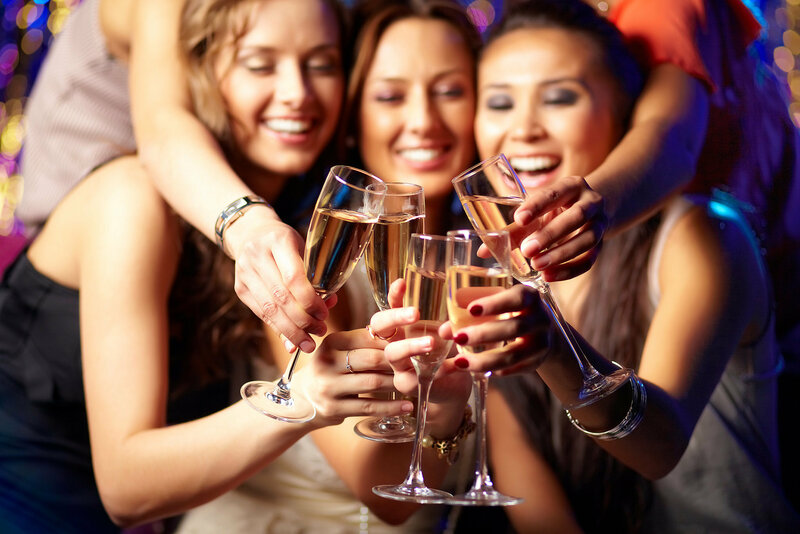 Have you and the girls been aching to hit the town for a proper girls night out? In Downtown Las Vegas, you and your girlfriends will be able to hit all the different bars and local hotspots that feature amazing drink specials and DJ’s spinning the best tracks. The main focus should be having fun, which is why Vegas Pub Crawler is the perfect solution for taking your girls night out to the next level. Nobody wants to be that one friend in the group who has to watch everyone drink booze while they sip their Diet Coke. With Vegas Pub Crawler, everyone can enjoy delicious drinks at each stop because we are your drivers for the evening. Your only job is to have fun with your girlfriends and help us pedal on the giant 15-person cycle in between locations. You have the freedom to choose where you would like to visit while on your tour of Downtown Las Vegas. If you want to make it a wine only night, or a fun evening dancing, we know the perfect places. Don’t worry if you are having trouble coming up with some spots, we know DTLV pretty well and can offer some excellent suggestions. When you pedal with Vegas Pub Crawler, feel free to wear your heels, since you won’t have to walk for blocks to get to different bars. One of the best ways to do that is to show off your fun evening to the world. Make your presence known by decorating our cycle with streamers and fun themed items. You also control the music while on the cycle so get your girl power playlist ready and don’t be afraid to sing at the top of your lungs while making your way through the streets of Downtown Las Vegas. Every girl deserves a night out with her best friends and there is no better way to do that than with a Downtown Las Vegas pub crawl. Don’t forget to take lots of pictures for Instagram of your girls night out with Vegas Pub Crawler.